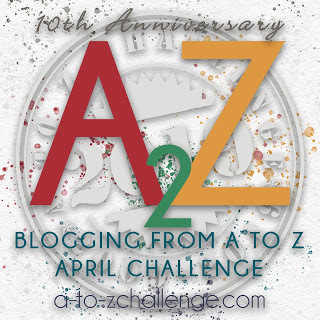 So, Basically, beginning with April 1, my topic will be themed on something with the letterA, then on April second another topic with the letter B as the theme, and so on until I finish on April thirtieth with the theme based on the letter Z. First let me briefly (which is going to be difficult) tell you a little about my Uncle Bobby. He looks a little like Dustin Hoffman Let me clarify that. He tells us that he gets stopped all of the time by people asking for his autograph because they think he is Dustin Hoffman. But I can sort of see the resemblance, if I take my glasses off, that is. Uncle Bobby is very verbose and he always has a story. His stories are...well let's say they remind me a little of the old Abbot and Costello "Who's on First Bit." At the beginning of the story I think I understand and nod and smile. But the end of the story I walk away confused and shaking my head. Uncle Bobby claims to know a lot of people. In fact wherever he goes, he manages to find someone who is a distant relative or acquaintance of another distant relative or acquaintance who he (Uncle Bobby) knew from way way back. A few years ago Ross and I went on a trip to Italy with my sister and brother-in-law. We thought we would stop some people all along the way and ask them to say "Hi" to Uncle Bobby. After all Uncle Bobby has been to Italy and he probably struck up a conversation with some of them at some point or another way way back. By the way, we love our Uncle Bobby and his stories! So here is the video we took asking strangers to us, but I'm sure not "strangers" to our Uncle Bobby. Spent afternoon at Frances'. Stayed for supper. Junior with me. Brought Dora H. wedding gift. At night with Mariano girls. They took me home first. Just let me say this...everyone in the family got a big kick out of the video, including Uncle Bobby. Lovely post, and Uncle Bobby! we all have an uncle bobby it seems--great post! Aww, what a sweet post! I love when people share about their families, especially members who are unique and special to them. Your Uncle Bobby sounds awesome! That is so funny. My friends tell me I know everyone or I usually meet someone who knows someone I know! This reminds me a bit of my husband. But in his case, everyone does know him (in his professional circle, that is).